Our Management team has over 50 years’ experience working within School Catering and we are dedicated to providing each child a nutritious, balanced meal, that will help in the childs development and education. Dennis has almost 33 years of catering experience starting his career as a YTS through to Executive Chef in the B&I/ Corporate sectors until moving ‘out of his whites’ in to management with well renowned Companies. His last 10 years have been predominantly within the education sector of which he is extremely passionate about. Lives on the South coast and has 2 Daughters he affectionally calls ‘Ronnie and Reggie’! Dennis McKenzie is Business Manager of HES Catering Services a role he has enjoyed since joining the company in December 2014. Prior to this, Dennis has worked within the catering industry for past 14 years and his career has included working as both a Finance Manager and Operations Manager in within a variety of sectors from healthcare to banking. Mandy has worked for HES Catering Services for almost 20 years. Havering started as a casual, then gaining a permanent position firstly as a relief supervisor and then as a school based supervisor she has seen the business move from ‘Turkey twizzler’ days to healthy eating. From this experience Mandy is a firm believer that every child should have a healthy lunch. The role has been rewarding as from the very start it provided a suitable fit for family life and has now evolved into a full career. Being based in a school for 10 years Mandy acquired a sound knowledge of all areas within the kitchen. This has held Mandy in good standing to take up the role of Area Supervisor for seven years, working together with the Area Manager to support 23 primary schools. Mandy has taken this experience to move forward in her new role as Area Manager in Aug 2015. With over 25 years experience in Commercial Catering both in B&I and Schools, Clare has established a successful Management role based on the strong foundations built in her early years with duties in marketing, finance, payroll, menu planning, system role out, new mobilisation and site management. Currently as Area Manager for HES Catering Services looking after 6 secondary & 3 special needs schools along with the Town Hall service, her achievement is accredited to forging relationships with colleagues to ensure the team works to its consistent optimum, by listening, valuing and learning from the strengths of others and using this information to develop, train and support to deliver the optimal service to our customers. Previous, to starting my catering at HES Catering Services, I worked as a kitchen supervisor at the London Borough of Barking and Dagenham for 5 Years. This lead to me staring my career with HES 15 years ago as a float cook supervisor I then ran Harold wood kitchen for a while, before becoming supervisor at Brookside primary school for 9 years, From there I went to Royal liberty secondary school as chef manager, which also included running Hospitality plus which is a buffet service we provide though out the borough. Currently I am now the Area Manager for the Central Area . Terry joined HES Catering Services in January 2015. Terry has been in the hospitality industry for over 40 years, starting as a chef and then progressing into management, then onto Area Management. My role involves managing the provision of lunches to the School children of Havering; I manage 16 schools within the borough. My teams at the schools provide a healthy balanced lunch offering up to 3 choices daily. I also work closely with my colleagues and the support team in compiling the Menus for all schools. James has over 35 years in the catering sector and completed a two year full-time course at catering college in 1982. A qualified and award winning chef he has worked in various sectors including Hotels, Private healthcare and education. A passion for good food and service saw him move into management. He was an integral part of the team that developed one menu and standards for 43 hospitals. James has always developed strong working relationships with suppliers and key stakeholders and strives to improve the service. I have worked with HES catering since graduating from Oxford Brookes University with a 2.1 Hons BSc in Nutrition, Exercise and Health. I have been able to have gained experience of different roles within the business from Admin, Finance as well as Nutrition and Menu Planning. Last year, I achieved my AFN Accreditation to become a Registered Associate Nutritionist. I am a firm believer that everyone is different and has different needs therefore “one size doesn’t fit all” when it comes to nutrition and leading a healthy lifestyle. 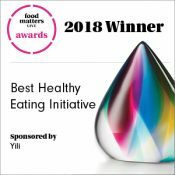 My role has enabled me to become an ambassador for Food for Life and inspire and educate young people and their families by providing them with the essential information, they need to develop healthy balanced lifestyles. In my spare time, I enjoy playing field hockey and going to the gym. My favorite foods Korean or Japanese! Prior to my time here at HES Catering Services I worked for Barclays Bank for 20 years gaining experience in various areas of finance . Outside of work , I enjoy keeping fit and the outdoors . Our friendly administration team led by Ayshea Kennedy is the heartbeat of our organisation, and always happy to help you with your enquiries.